We have again enjoyed great SATs results at St Mary’s – putting us in the Top 1% of schools nationally for Attainment and Progress by the end of KS2. At St Mary’s we believe that our Maths should be learnt in a fun and practical way, so it can be used in everyday life and our children can achieve their best. We design our delivery to suit the needs of every single child so they all develop good grounding in Maths. Through our delivery we encourage children to: talk and explain; think in a creative and practical way; and explore their Maths – allowing for a higher understanding, thinking and achievement. 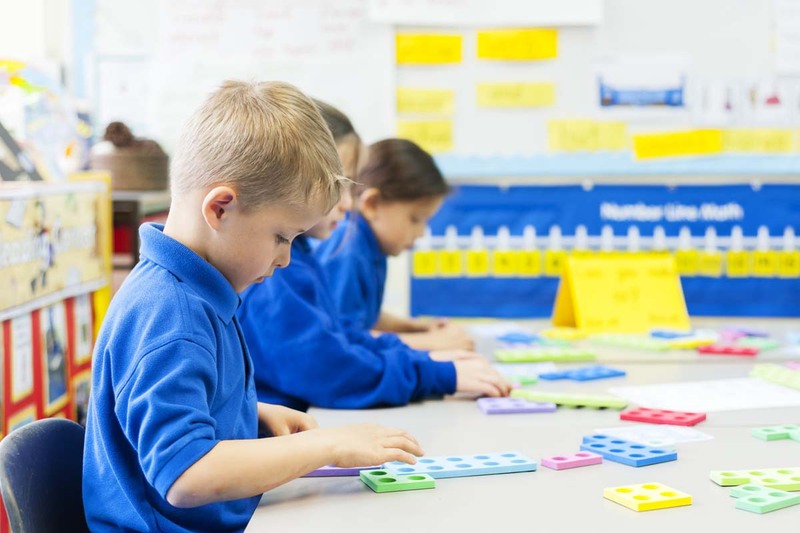 Pupils’ thinking and communication skills are encouraged in mathematics lessons through planned activities that involve speaking and listening, reading and writing. After teaching core skills, we provide real life situations to encourage mathematical reasoning and to show examples of what reasoning in the real world involves. This helps the pupils become more confident in problem solving by practising, refining and applying their skills and strategies. We believe that children should develop mental skills before using written algorithms and have a clear progression of the methods and skills taught from Year 1 to Year 6 in the Calculation Policy below. Our aim is to inspire all children to succeed by opening doors of understanding so they can flourish. We use Mathletics to support our Maths learning at home. Here children have the opportunity to complete a wide range of activities that supports their learning at school. They can also compete in maths challenges against children all over the world! If your child has problems logging onto Mathletics, please speak to their class teacher, who will be more than happy to help. Playing games with your children, practising their timestables with them, or bringing maths into the real-world (e.g. asking them to count the money or tell the time), will also greatly support their maths learning.